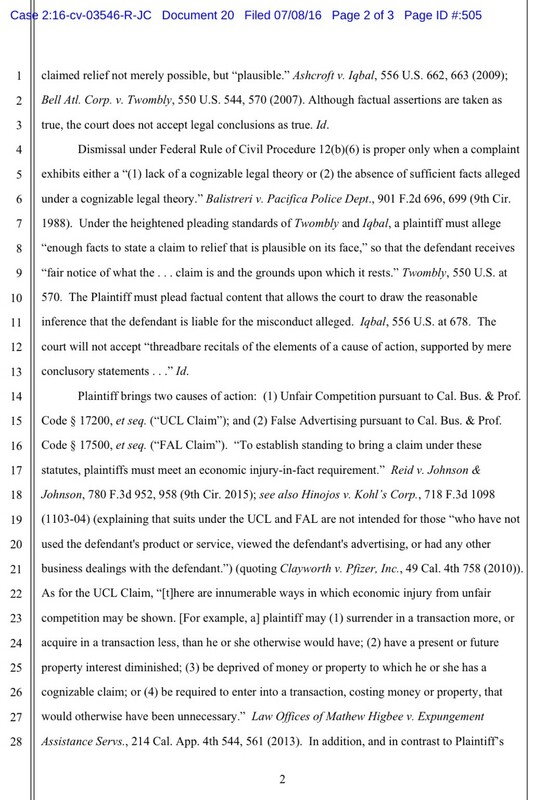 Along with their initial (failed) lawsuit against Ironmag Labs over the sale of SARMs, Nutrition Distribution also sued them in a second action over research chemicals. The complaint alleges unfair competition and false advertising. But the only thing not getting bought was Nutrition Distribution’s story. 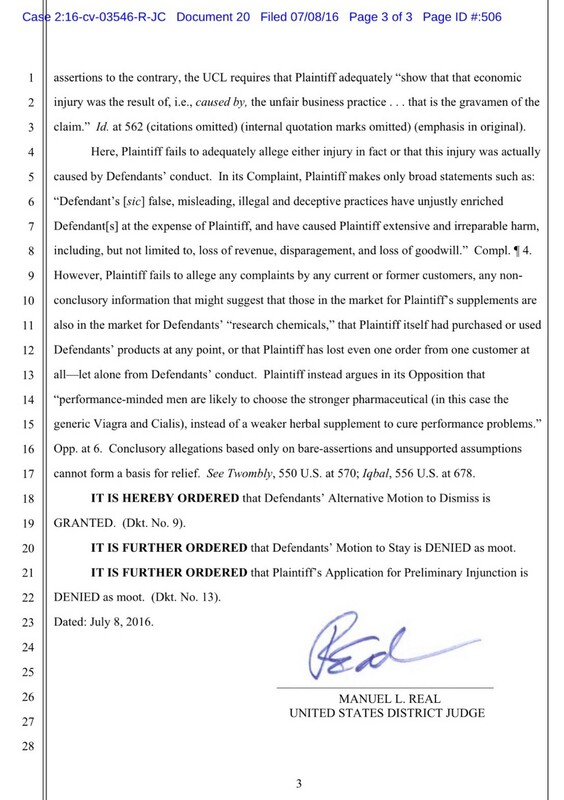 In a three page decision, the judge points out that there is no reason to assume that Nutrition Distribution has lost customers (or even a single customer) because of Ironmag Labs, nor that their companies (in this instance) even operate within the same market (dietary supplements versus research chemicals). Of course, Nutrition Distribution can appeal this judgment, as they did when they lost the first lawsuit (a decision on that appeal is still pending). Earlier this year, rumors circulated that Ironmag Labs had been raided by the FDA. 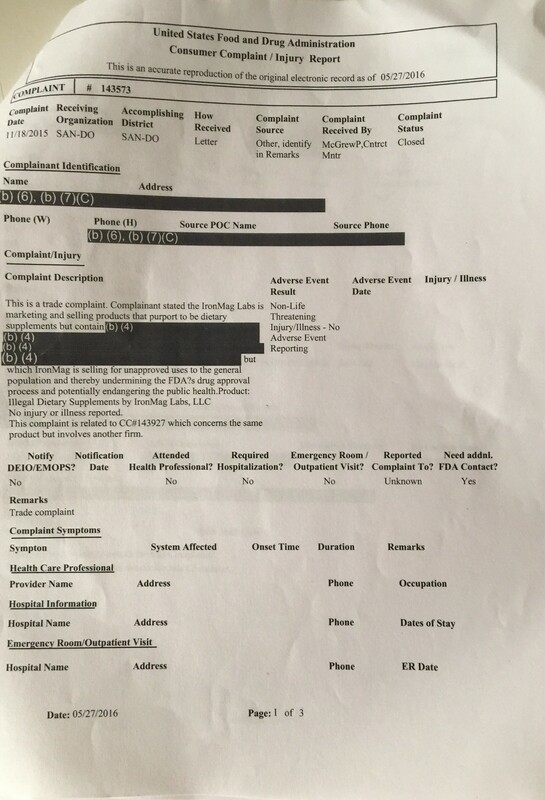 In fact, the FDA did inspect their facility in Henderson, Nevada, on April 5th and 6th. Per the report issued, some SOP information required further documentation, but there was nothing observed or noted by the inspector that would imply illicit activity. This inspection was the result of a trade complaint (i.e. a competitor complained to the FDA). 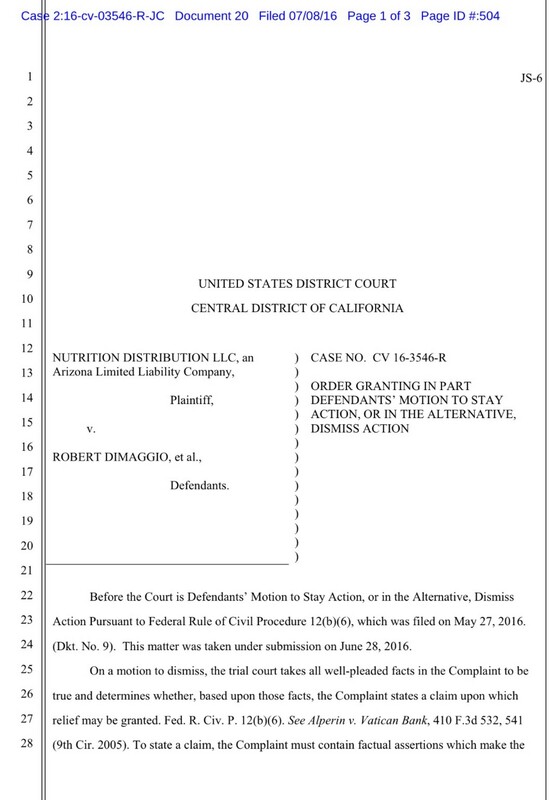 The trade complaint against Ironmag Labs was submitted to the FDA less than one month after Nutrition Distribution filed the first lawsuit against them, and specifically complained about the exact thing that Nutrition Distribution was suing them over.